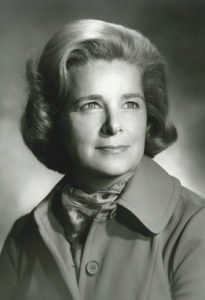 Mary Jane Leader, wife of the late Pennsylvania Governor George M. Leader, passed away on March 15, 2011. Mrs. Leader and her husband founded Country Meadows Retirement Communities. She was 92. Mrs. Leader was born in Williamsport, Pa., but as a child her family moved to York, Pa. It was there that she met her future husband when they both attended William Penn High School. They were married in 1939. The couple attended the University of Pennsylvania prior to World War II. Gov. Leader joined the U.S. Navy and served in the pacific Theatre while Mrs. Leader returned to York. After the war, the Leaders began a poultry hatchery business. Mrs. Leader helped her husband launch his political career in the Pennsylvania State Senate in 1950. Four years later he was elected Governor of Pennsylvania. The Leaders and their small children moved into the old Executive Mansion in Harrisburg and were the last family to occupy that home. Following Gov. Leader’s term in office, the family moved to the Philadelphia suburbs, where they resided for 23 years. It was at this time that the Leaders founded Leader Nursing & Rehabilitation Centers, Inc., and, in 1985, Country Meadows. A licensed nursing home administrator, Mrs. Leader served in management and as a director of the family enterprises until the time of her death. She also served several terms on the state Board of Examiners of Nursing Home Administrators and State Council for the Blind. In 1983 the Leaders moved to a farm near Hershey. In her retirement, Mrs. Leader was passionate about several charities for which she provided fundraising support: Kidney Foundation of Central PA, CARE, WITF, Inc., Planned Parenthood of Central PA and several charities serving the blind. Her late son, Fred, was blind from birth.